This excitingly realistic bowling game comes to life on your PC with this amazing bowling sim. No need to lace up your shoes or polish your ball anymore! Excitingly realistic bowling comes to life on your PC with this amazing bowling sim. Choose your ball color and weight, choose your favorite alley and start bowling! That's all there is to it. 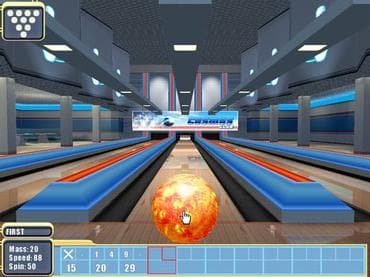 Astounding 3D graphics and your choice of different realistic alleys complete with their own unique soundtracks bring the bowling world home. Just download this free full version game and start playing today! Free Game Features: - Realistic Alleys with Unique Soundtracks; - Enhanced 3D Graphics; - Accurate Score-Keeping; - Free full version game without any limitations. If you have questions about Bowling game, please contact us using this form.